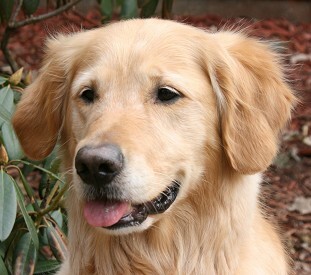 Abbi was our wonderful golden that we were lucky to get from Gayle Watkins and her Gaylan's goldens. She was everything we had asked for. She loved life and her tail never quit wagging. She was my agility star. 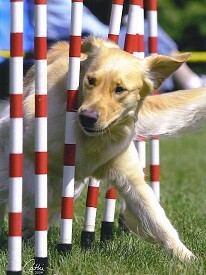 She loved agility with a passion. She was very responsive, focused, and fast. She started with her NA at the 2003 GRCA National in Ohio, then finished her MXJ at the 2005 GRCA National in Gettysburg, then finished her MX in 2007. Abbi obtained her CPE Agility Championship (C-ATCH) and her Am. CD and UKC CD. She also finished her Rally Advanced title at the 2005 National. Abbi received her Certificate of Conformation (CCA) from the GRCA on her first attempt five days after being bred for her second litter. She finished her UKC CH when she was just 13 months old, finishing in five shows, with the help of my friend, Pat Morgan, who is a wonderful long time breeder of Belgian Tervs and Lakenois. Abbi finished her JH, along with her son Shiloh, on Oct 1, 06. She passed her Working Certificate at the 2008 GRCA National, getting our first ever WC! 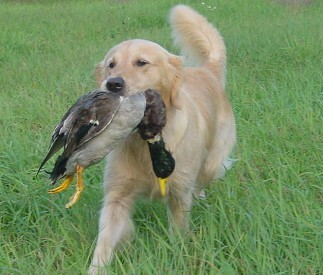 Abbi also became Tom's great hunting partner, hunting pheasants and ducks with him. 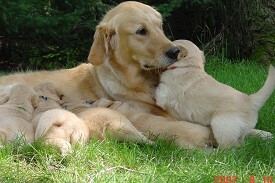 We took time out from Abbi's training and trialing to have three litters. 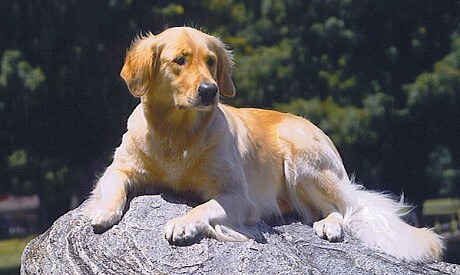 a handsome obedience hunting dog, from several conformation lines. 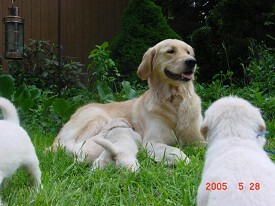 We had nine beautiful puppies, kept a little girl named Chime, and the rest went to fantastic homes. 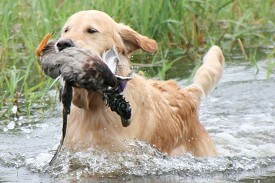 She became an Outstanding Dam from this first litter and they helped their sire Canyon become an Outstanding Sire. Irish Litter on their webpages. 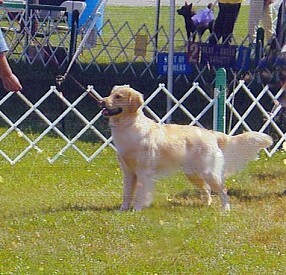 Ch Buckeye Standing Ovation OS and whelped 11 puppies Jan, 2009. They went to wonderful homes and have really excelled in competitions. You can see the Topmast Traveling litter here. We lost Abbi when she was 12 from kidney cancer and we miss her so much and find it hard to do agility without her. I am so thankful for the 25 offspring she produced to carry on her legacy. and check out the Flying litter that Abbi came from. 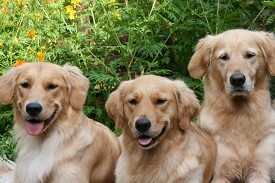 Abbi and eight of the nine Music pups at one year. 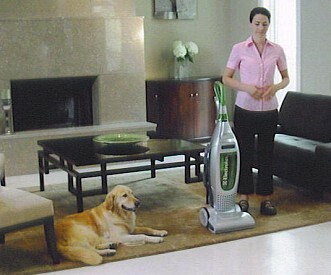 Starring in a commercial for vacumn cleaners! 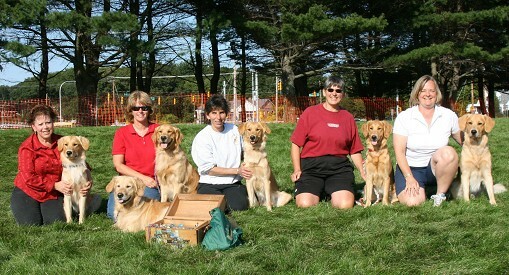 Irish litter reunion at the 2008 GRCA National in RI.